So I love broccoli, but I know many don’t. I love it steamed, sautéed, stir-fried and most importantly roasted. This seems to be the general consensus; if you roast broccoli, they will eat it, even little kids and complete vegephobes (yeah, I just made that word up). There’s something about that crisp crunchy goodness simply tossed with some olive oil and salt, which makes you feel like you’re eating peanuts and you can’t stop. My first roasted broccoli recipe was a big hit with just a touch of lemon and Parmesan. This time I added a little spice, roasted garlic and creamy feta cheese. 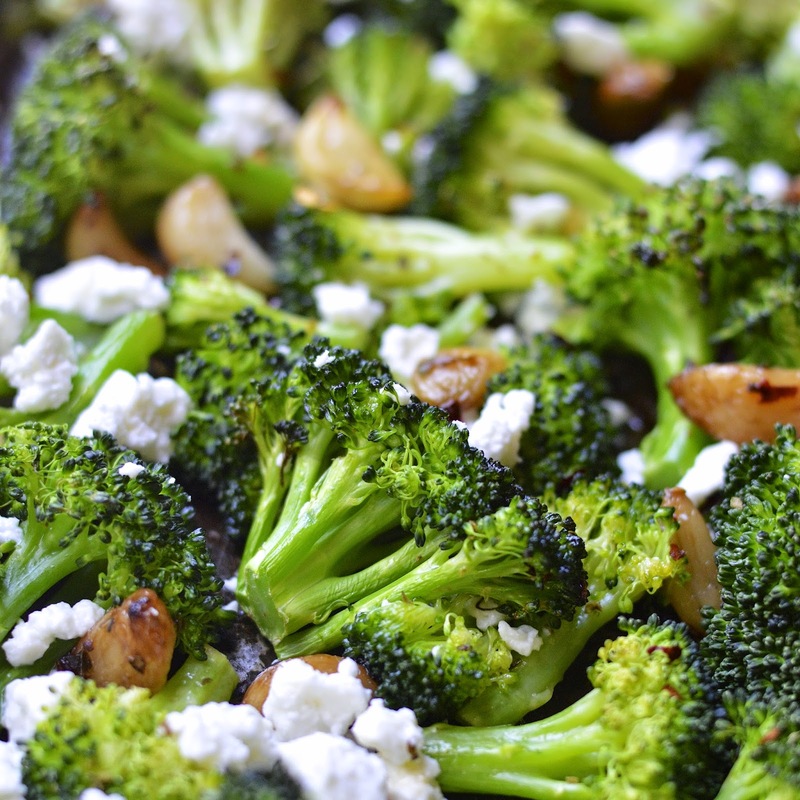 Who knew that feta and broccoli make a dreamy duo? I promise that this recipe will not disappoint. 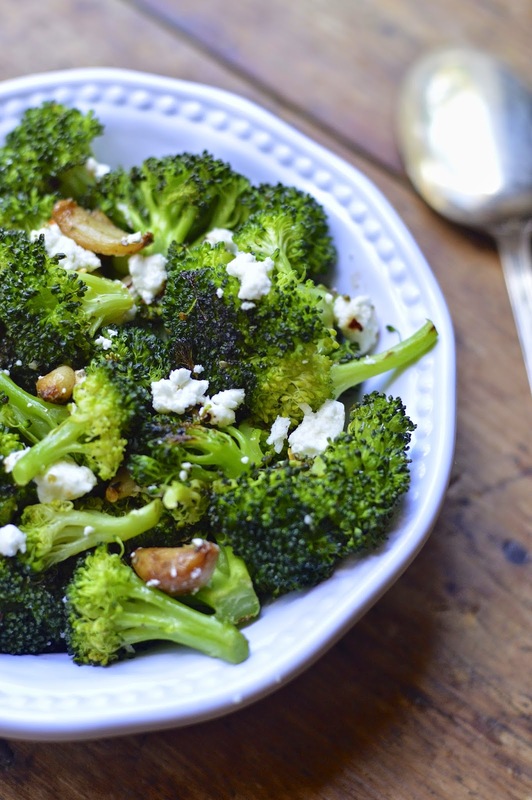 If you have broccoli lovers in the house you may want to double the recipe! 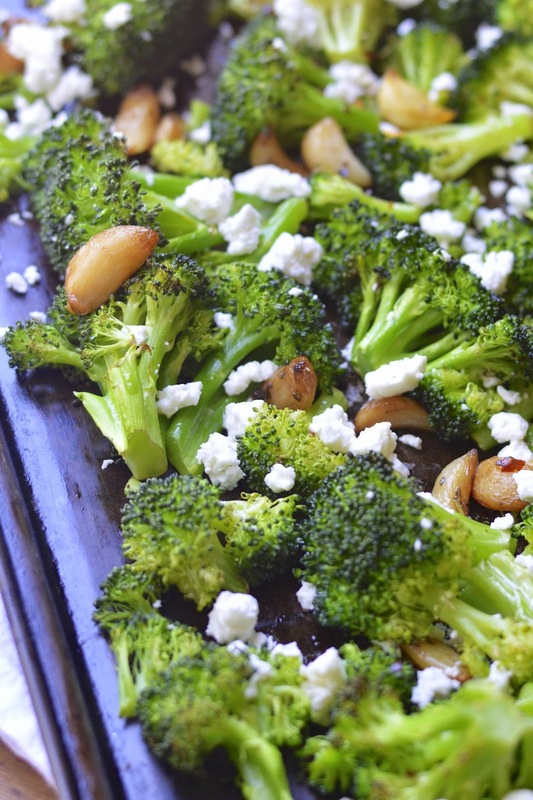 Place broccoli on a medium sheet pan and drizzle with olive oil. Toss to combine. Sprinkle with red pepper flakes, garlic cloves and salt. Place in oven and roast for 10 to 15 minutes until crisp and slightly tender. Remove from oven, sprinkle feta cheese over top and serve warm.